When it rains on forests in Virginia, the first droplets are intercepted by the leaves, needles, and branches of trees. During a quick rain shower, hikers underneath a tree may stay completely dry, sheltered by a natural umbrella. After a few minutes of continuing rain, water will drip from trees to the ground. The energy of the falling raindrops will have disssipated, and few drops will create large impact craters that disturb soil particles. The drops will soak initially into the leaf litter and organic debris on the surface. If the rain shower is short, water on tree branches and absorbed in the top layer of soil will be evaporated back into the atmosphere. If a storm continues, water will soak underground between soil particles and displace air molecules. Plant roots will absorb some of the water in the "vadose" or shallow zone, where air and water molecules switch places regularly. If rain continues then additional droplets will soak deeper underground and reach the water table, the boundary below which all gaps between soil particles stay filled with water. Some of that water in the "phreatic" zone will flow towards springs and emerge at the surface, but much will stay trapped underground near where the raindrops fell. In Virginia, the water table typically rises higher in the soil during the late winter as rain recharges the water table. In the spring, vegetation leafs out. Plants move water from roots underground into the leaves, and transpiration into the atmosphere causes the water table to drop. Drinking water wells are drilled deep in order to intersect the "phreatic" zone, where there will always be a supply of groundwater. In storms with a steady rain, water droplets reach the earth's surface faster than they can be absorbed. The excess will run off the surface and enter nearby streams, causing water levels to rise and occasionally triggering a flood. The depth and width of stream channels are determined by the pattern of runoff in the local area. Stream channels near watershed divides, where the volume of surface runoff is limited, are narrow and shallow. 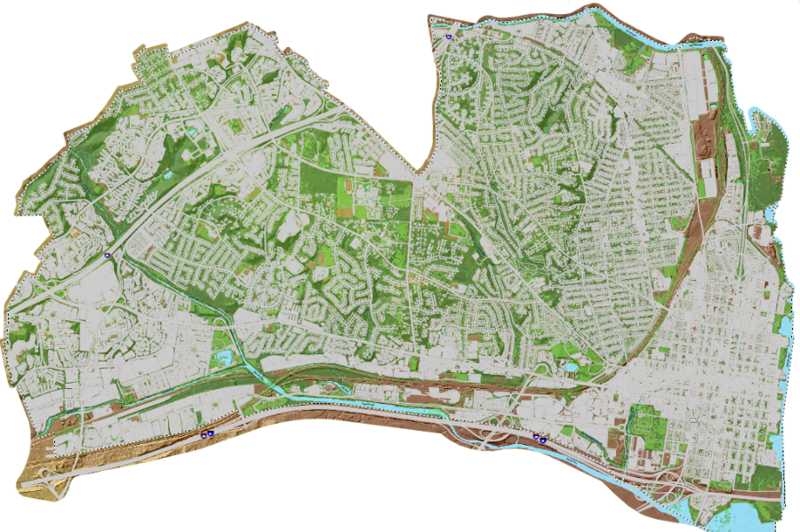 Further downstream, the area of the watershed sending runoff into the stream is greater. The greater volume of surface runoff, and the greater speed of that flowing water, carves deeper/wider stream channels. 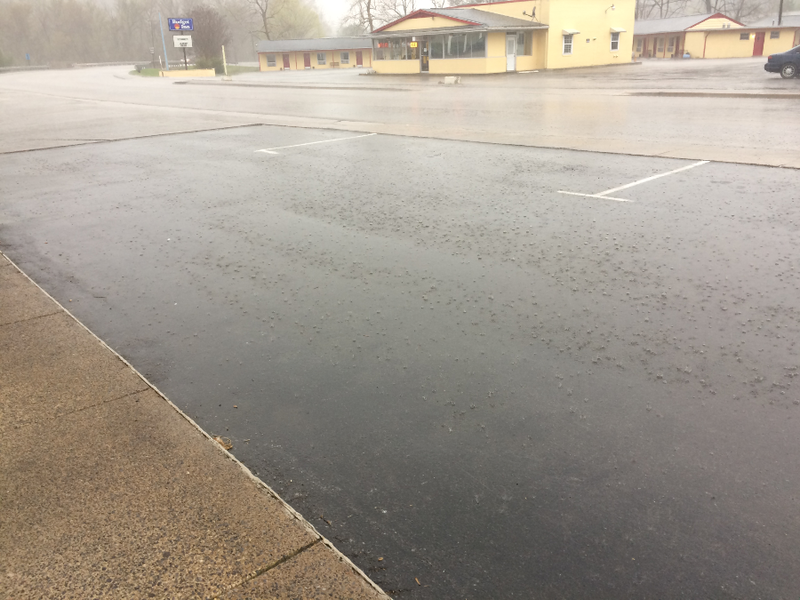 When it rains on urban areas in Virginia, raindrops often hit impervious surfaces such as roofs and roads, patios and parking lots. That water can not seep into the ground, unlike raindrops that fall on lawns and gardens and can soak into the ground. 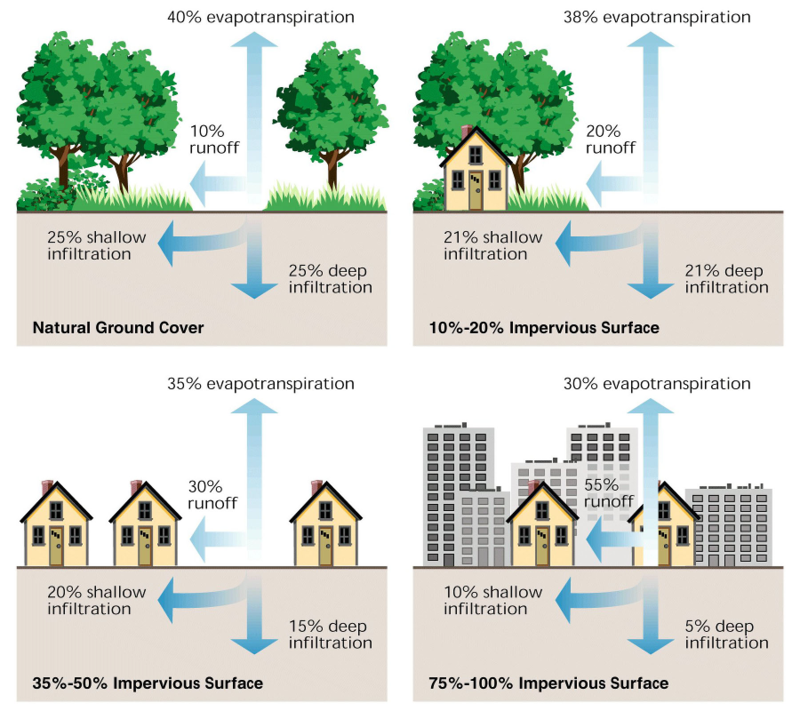 Stormwater that races off the impervious surfaces will flow downhill, and eventually drain into a creek or lake. 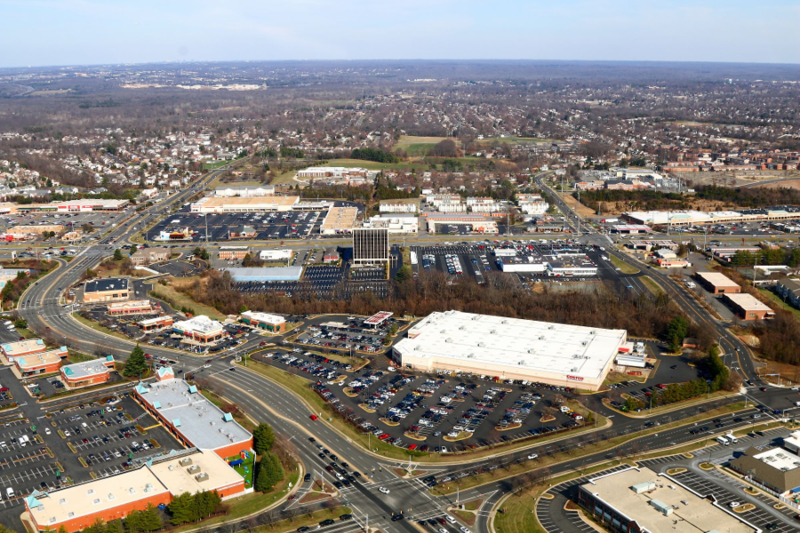 In densely urbanized central cities in Virginia, stormwater drains into a dedicate set of underground pipes - the Municipal Separate Storm Sewer System (MS4) network - before reaching the creeks or rivers. The Federal Clean Water Act was amended in 1987 to give the Environmental Protection Agency (EPA) authority to regulate "non-point source" pollution, primarily stormwater runoff from agricultural fields and urbanized areas. Normally, all the sewage from toilets in houses and businesses will flow into a septic system or to a wastewater treatment plant, where it is treated as required by the Clean Water Act before being released into a nearby stream. Normally, stormwater flows directly into creeks (as a non-point source of pollution) or through the separate MS4 network of ditches (as a point source), but the stormwater is not processed by a wastewater treatment plant. Property owners who don't want eutrophication of stormwater ponds, with excessive algae and occasionally smells from decay of vegetation, can install fountains to oxygenate the pond. 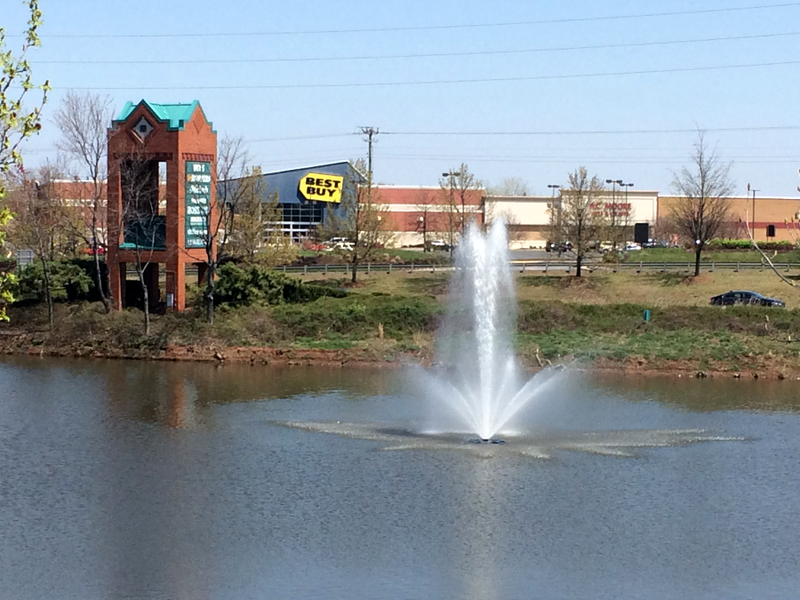 In some circumstances, stormwater ponds can become an attractive amenity by providing a water view. However, during heavy rains the surge of stormwater can flood into the combined pipes, exceeding the capacity and forcing the water/sewage mixture through special outlets that drain directly into creeks and rivers without any wastewater treatment. 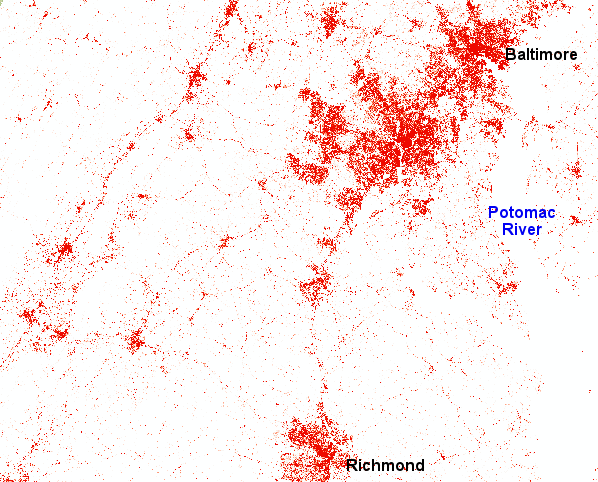 During an August thunderstorm, for example, Alexandria, Lynchburg, and Richmond can discharge a mix of untreated human waste and stormwater directly into the Potomac and James rivers. In the suburbs, stormwater typically runs into specially-built ponds that delay the speed at which the runoff drains into the creeks. That delay reduces the speed of the runoff, and slowing down artificially-accelerated runoff with artificial ponds reduces erosion. Excessive sediment is one of the three major pollutants that have damaged the Chesapeake Bay, along with excessive nitrogen and excessive phosphorous. 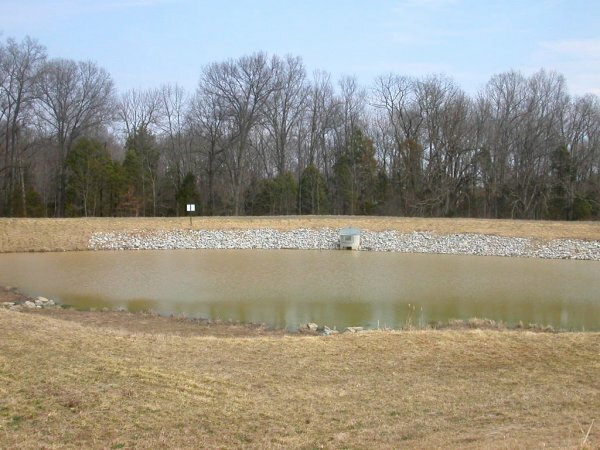 Erosion and sediment control ordinances now require developers to reduce the impact of impermeable surfaces by building flood control structures or stormwater management ponds. When the water rushes off the parking lot, it fills the pond rather than races into the stream. The artifically-fast runoff rate from impervious surfaces is why signs on fences around stormwater ponds warn that the water rises rapidly, so children should not play in the depression. Where stormwater is trapped briefly in stormwater management ponds or slows down in the curves of streams, some sediment particles will settle to the bottom and be trapped. Nitrogen from over-fertilized lawns or dog wastes will dissolve in the stormwater and keep flowing through the stormwater pond, but molecules of phosphorous and some lawn chemicals may stay attached to sediment particles. When particles settle to the bottom, some pollution can be trapped ("entrained") in the sediments. As a result, stormwater ponds may improve water quality, as well as address water quantity problems. 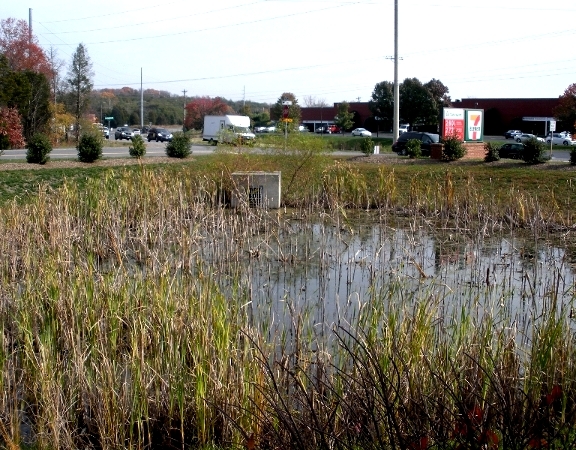 Particles at the bottom of stormwater ponds are trapped only temporarily. The journey downstream will resume every 10-50 years, when a gully-washing hurricane stirs up the sediment and carries it downstream. 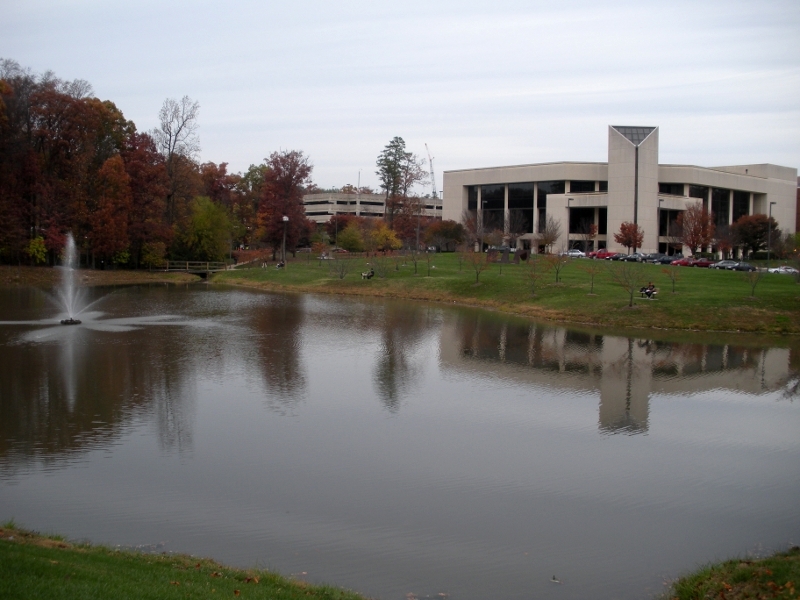 Stormwater ponds help to "save" the Chesapeake Bay only if they are dredged to remove sediments. The outflow from the pond is a relatively small pipe which limits the amount of water flowing downstream, so water level in a stream does not rise rapidly if the pond performs its intended function. The speed at which the pond drains should mimic the speed at which the now-paved area naturally drained excess rainwater. 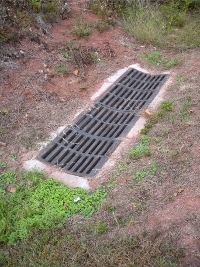 This reduces the "flashiness" of the stream, so water levels rise slowly downstream of a stormwater management pond. "Dry" stormwater management ponds are empty between storms, while "wet" ponds always keep some water in them. Ponds are fenced to keep children from drowning when . That reduces the chance that children playing on the water's edge could get trapped during a storm, when the water level in the pond rises rapidly. 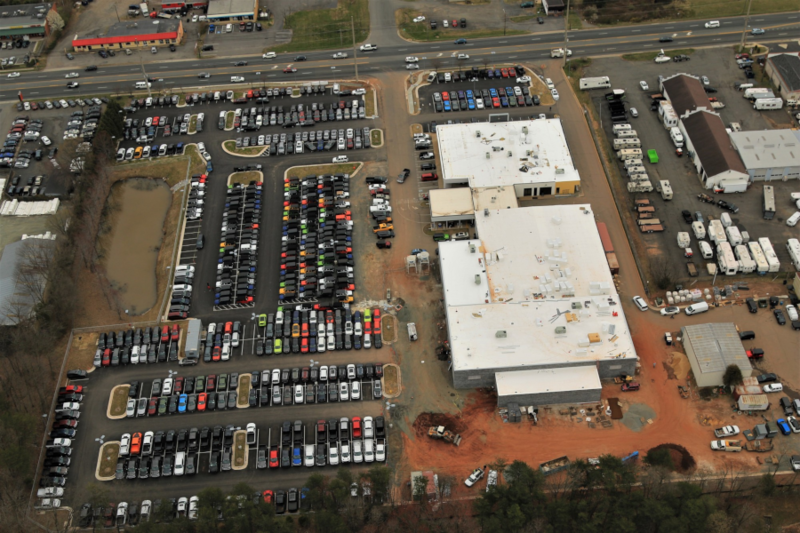 However, such ponds are "attractive nuisances" that insurance agents view as hazards, instead of being an attractive water accent to a neighborhood already impacted by ugly parking lots. New "rain garden" alternatives to the stormwater management pond are now coming into favor. One possible alternative is to reduce runoff by growing grass right on the roof of large buildings. An aerial pasture can retard some of the runoff, since the grass and soil would retain the rainfall. The additional costs for the roof might be offset in part by reduced costs of air conditioning, since evaporating moisture in the soil would cool the roof.